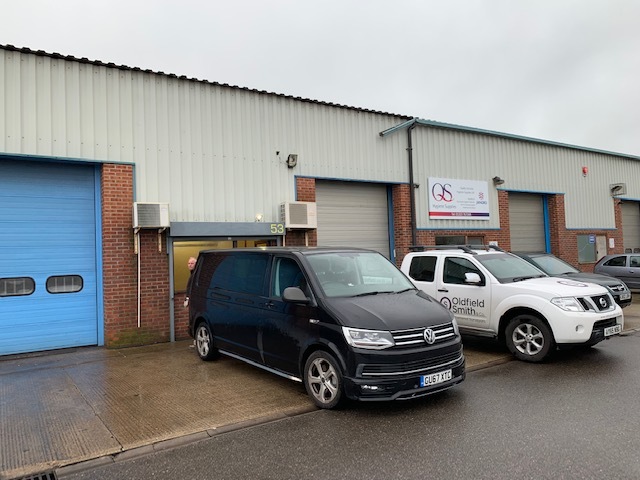 Excellent location on busy trading estate with multi-occupiers including Lookers Mercedes-Benz. 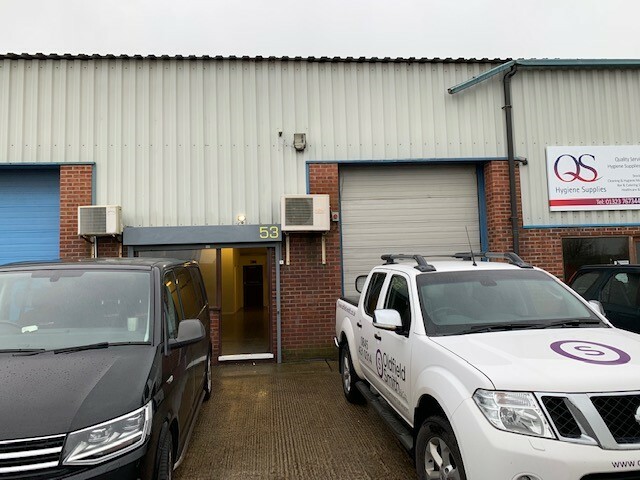 Modern warehouse/industrial unit on established estate. 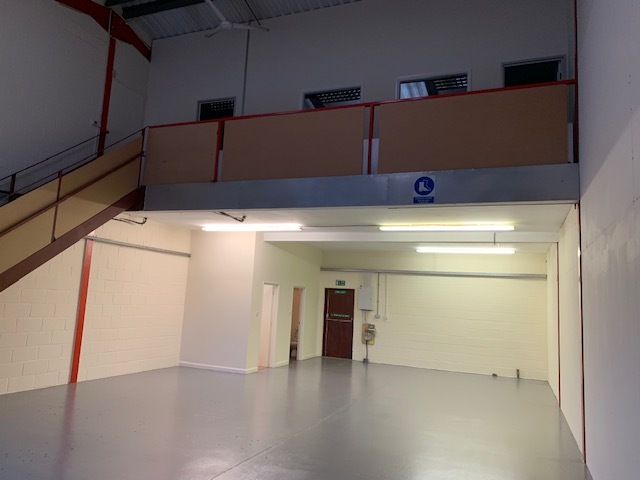 The premises comprise a terraced workshop/industrial unit with the benefit of part mezzanine floor located in Phase II of the estate behind Lookers Mercedes Benz. Unit 53 – ground floor internal width 8.0m (26\\\\\\\\\\\\\\\\\\\\\\\\\\\\\\\\\\\\\\\\\\\\\\\\\\\\\\\\\\\\\\\’ 3\\\\\\\\\\\\\\\\\\\\\\\\\\\\\\\\\\\\\\\\\\\\\\\\\\\\\\\\\\\\\\\”) depth 14.3m (47\\\\\\\\\\\\\\\\\\\\\\\\\\\\\\\\\\\\\\\\\\\\\\\\\\\\\\\\\\\\\\\’) – 114.4 sq m (1234 sq ft). Excellent eaves height. Roller shutter door to front plus further shutter door over personal access door. within this space has been created a kitchen fitted with stainless steel sink unit plus base and wall unit. Cloakroom fitted with low level wc and wash hand basin. Mezzanine floor internal width 8.0m (26\\\\\\\\\\\\\\\\\\\\\\\\\\\\\\\\\\\\\\\\\\\\\\\\\\\\\\\\\\\\\\\’ 3\\\\\\\\\\\\\\\\\\\\\\\\\\\\\\\\\\\\\\\\\\\\\\\\\\\\\\\\\\\\\\\”) depth 7.1m (23\\\\\\\\\\\\\\\\\\\\\\\\\\\\\\\\\\\\\\\\\\\\\\\\\\\\\\\\\\\\\\\’ 3\\\\\\\\\\\\\\\\\\\\\\\\\\\\\\\\\\\\\\\\\\\\\\\\\\\\\\\\\\\\\\\”) – overall 56.8 sq m (610 sq ft). arranged as 2 rooms each with air conditioning unit and fitted with suspended ceiling having inset lights & carpet. Parking provided to the front and side. New lease available on normal full repairing and insuring basis from 6 years.